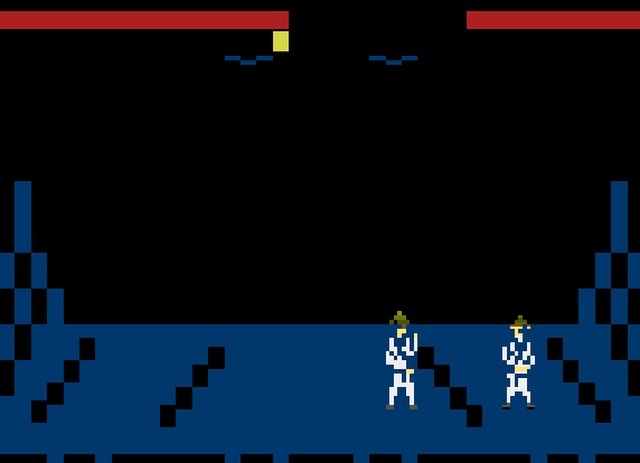 This above image may not look like much in the grand scheme of things, but this is actually a 2015 Atari 2600 Tech Demo from a fan based developer of ' Mortal Kombat ', which was a hard hitting fighting game originally by Midway Games in 1992 for the Arcades and ported home systems. 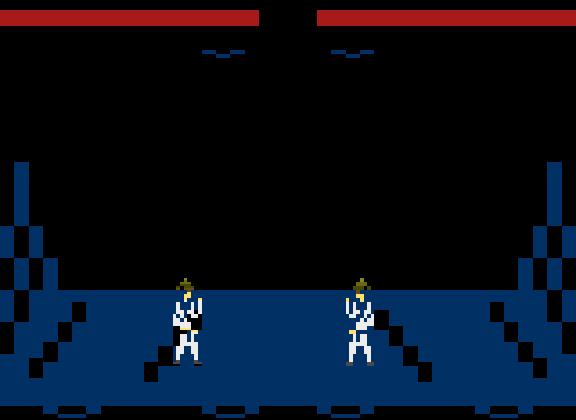 This 2600 version was actually made in May/June, with a single frame Raiden sprite by Darry11970, and after sitting around on the hard drive for far too long, was finally released pre-Christmas. According to the tech demo developer, he had made a lot of animations for Raiden and then went on to make Sub-Zero, with many of the fight logic still in place such as uppercut, duck and movement. Oh and you can even play as a two player game, but after about the second round it ends up rather buggy. As when I played it, multiple uppercuts on the final meant it was stuck on autoloop! To be honest I was actually impressed on what was on offer even as a Tech Demo, but let's just hope that the developer is able to share all of his resources and source to someone else who wants to finish it, or go the full gory Kombat mile and finish it himself.